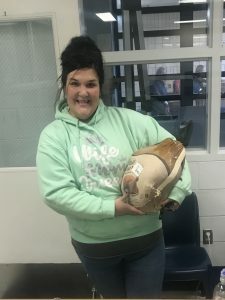 For 31 years, one of the many benefits of working for Wolverine Human Services has been the gift of a Thanksgiving turkey. As a young man, Robert E. Wollack worked as a butcher in New York. 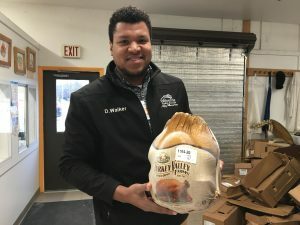 Back then, passing out Thanksgiving turkeys was what he did, and when Robert founded Wolverine Human Services, he was determined to carry on this tradition. To this day, hundreds of turkeys are delivered to each of our campuses. WHS staff line up before and after their shifts, excited for the holiday season. Some staff even tag-team the effort by sending representatives to retrieve the turkeys of unavailable employees. Every year, this tradition manages to bring out the compassion, thoughtfulness, and thankfulness of Wolverine Human Services’ employees. This beloved tradition is cherished dearly by Judith Wollack more than anyone else. For her, nothing is more contagious than seeing the joy on the face of a new employee receiving his or her first WHS Thanksgiving turkey. As a family run institution, we are passionate about making sure WHS workers are always able to celebrate Thanksgiving with their families, even when they might be scheduled to work. By supplying all of our employees with turkeys, we hope to ensure that they are able to uphold their Thanksgiving traditions as ceremoniously as we have upheld ours. We are not shy about the turkeys we give out either. This year, they have been averaging 20 pounds! In case any employees decide that they have no need for this turkey, we pass along the gift to those in need: local food banks. Wolverine Human Services is dedicated to providing everyone with the chance to honor and be thankful during the holiday season and we are always happy to hear just how thankful our employees and community members are. Happy Thanksgiving from Wolverine Human Services!